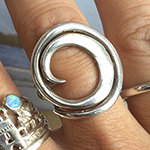 Surf jewellery 'Barreling wave' Collection. This collection of handcrafted jewellery designs are inspired by barrelling waves, the effect the movement has on the surface of the water and underneath on the ocean floor. I hope these rings, bracelets and earrings will appeal to anyone that shares my passion for surfing. 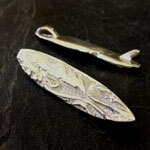 These designs in hallmarked silver are made individually by keen Gower surfer and silversmith Pa-pa.
New designs in silver inspired by waves and surf are being constantly added to the Surf jewellery 'Barreling wave' Collection. 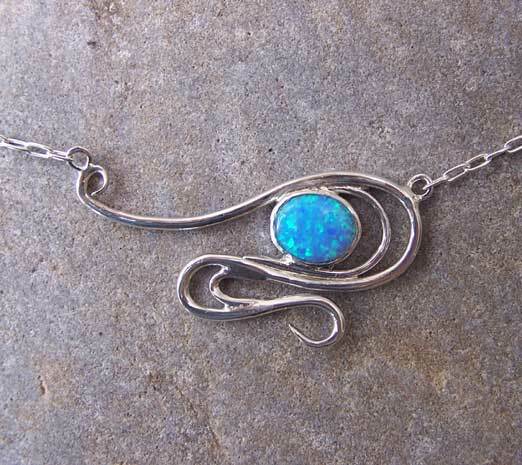 If you require any further information regarding jewellery designs based on surfing or waves, please don't hesitate to contact me. Rings are available in white and 9ct yellow gold based on wave and sea themes. The rings designs can be ordered to you size. 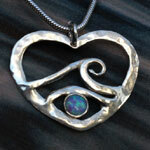 Please phone for completion times for commissioned ring and pendant designs. LAN1 Surf jewellery 'Barreling wave' Collection. 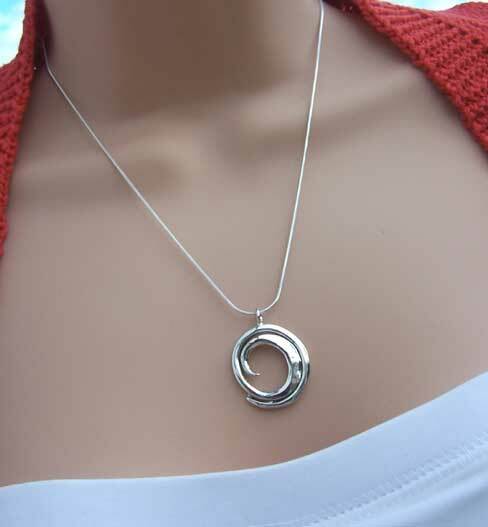 Unique barreling wave' solid silver pendant on a silver snake chain. LAN2 Surf jewellery 'Barreling wave' Collection. Solid silver ring. Please email ring size when ordering. 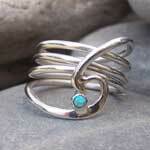 LAN4 Surf jewellery 'Barreling wave' Collection. 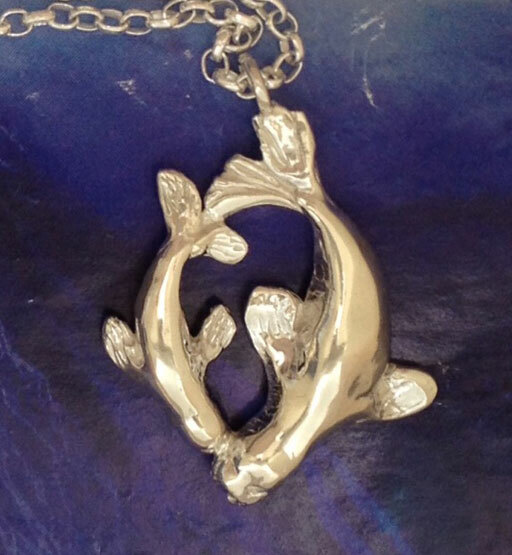 Solid silver seal mother and pup pendant. My passion for the surf and surfing began at an early age in 1977. I started off on a classic wafer thin wooden board, about the same height as myself at the time. My dad having cycled regularly to Llangennith and enjoyed the bay himself as a child, chose Llangennith beach as our playground most weekends. We braved the waves armoured with 7mm diving suits with very chic orange velour lining and flattering under flap fastening that looked like bolts holding your pelvis together. Having been inspired by one of the first movies of the late sixties shown at the pattie pavilion in Swansea, my father designed and crafted a 10ft surfboard out of marine plywood. With no real knowledge of board making and using only his professional skills as a carpenter he created the “blue board” in 1967. A Hollow core board, flat bottomed with a single tail fin. I have no recollection of a leash, tail pad or wax, so it was a pretty slippery sucker! It was a two-person operation for launching and carrying down to the sands from across the dunes. Its levelled deck provided us with a perfect picnic table when upturned, and the afternoons of surfing were complemented by a feast of foil -coated baked spuds over a log fire and charcoal scorched sausages. And the smell of the salty air and sea each day! 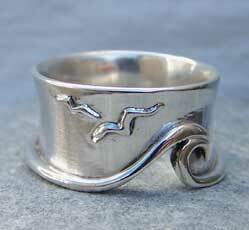 Wave, tropical palms and beach huts inspired solid silver surfer ring.